Today the Linspire team is pleased to announce the release of Cloud Edition 8.0 Office 365. This is an update to our CE Office - by far one of our most popular business releases for 2018. We have worked diligently to thoroughly integrate Microsoft’s web services into this product. Who was this designed for? For our business and education users who rely on Microsoft’s web services in their offices and classrooms. CE Office 365 offers the standard Microsoft Office online platform married to the stability and security of the Linux desktop. We have worked with many state and educational facilities to verify/certify that Linspire CE does indeed work with their Online and localized web apps; it is fully supported. Educational, military and law enforcement discounts are available for the unlimited license. Contact sales@pc-opensystems.com for details. 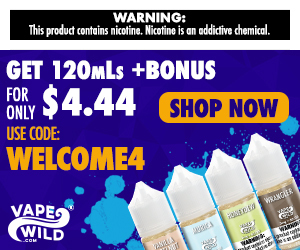 Let’s go over some frequently asked questions regarding this distribution. What is Linspire CE, exactly? Linspire CE is a specialized variant developed for the execution of cloud-based applications. It has a smaller disk/memory footprint, making it ideal for lower-end systems, i.e. laptops and Chromebooks. This allows organizations to repurpose older systems into their organizations, extending their hardware refresh cycle. Can I run standard Linux desktop applications on my system? Yes. All standard Linux desktop apps run on this system: Gimp, LibreOffice, Inkscape, Spotify, Dia, Krita, Kdenlive, Audacity etc. Can I still use Google’s web apps if I choose to? Yes, all of Google’s online apps are available to mix/match with locally installed applications, if you so desire. I have specialized QT and GTK based apps that I use in my – will they run on Linspire CE? Does the Linspire SDK work on Linspire CE? If I use Linspire CE can I change to Linspire CE Office 365 free of charge? Can I dual boot Linspire CE with Windows 10? You can, but we don’t support dual boot with Linspire CE out of the box. That’s a deployment that undertaken at your own risk. Caveat emptor. Can I dual boot Linspire CE with Chrome OS? Unknown; untried. Linspire CE and Android-x86_64 is a known, supported and thoroughly tested configuration. What are the system requirements for Linspire CE? As follows: 64 bit processor, 2 GB RAM (4 + GB recommended), 20 GB HDD space. Touch or mouse/keyboard input. How can I get Linspire CE Office 365? When you order Linspire CE Office 365 we deliver that to you on physical media - it is not available as a download option. What are the support options for Linspire CE Office 365? Linspire CE and Linspire CE Office 365 follow the support options usually available for Linspire Server - 2 years of phone, e-mail, remote support for a bi-yearly rate as well as on-site service for an additional fee. What desktops are available with Linspire CE? Can I order systems with Linspire CE preloaded? Yes. We have two systems available, the InspireBook laptop and an AIO desktop system, the InspireStation. What applications are available with Linspire CE 8.0 Office 365? Today we are releasing the Linspire and Freespire roadmap. This roadmap reflects development efforts and projected release dates. There may be a few incremental releases to address security flaws, system bugs and functionality. Every Service pack and incremental release will include a new ISO being issued as well. With Freespire our releases are a little different there is a new release every 6 months. New year, New Linspire. 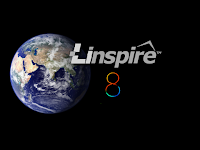 Today our development team is pleased to bring you Linspire 8.0 - the latest and greatest Linux desktop distribution from PC/OpenSystems LLC showcasing the latest open source technologies to our users. We have toiled diligently over the past year to improve security, stability and functionality in our alternative to Windows 10, ChromeOS and macOS. 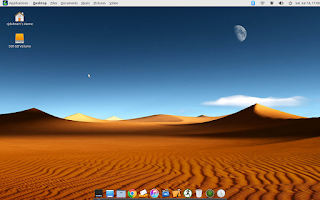 Linspire 8 offers the choice of a full desktop environment, KDE and Mate are available, bundling productivity, full multimedia playback, audio and video production, games and productivity. We have listened to our customer base and preinstalled many applications our users utilize in their daily lives. With Linspire 8.0 there is very little package installation users will have to do after installation. 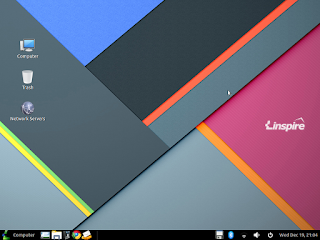 The Minimal install is an ISO that installs a subset containing only a web browser, ideal for users who wish to create and deploy their own desktop systems and customize their application line-up. Linspire CE, Cloud Edition, targets customers who wish to completely embrace a cloud only or hybrid infrastructure - cloud based apps in tandem with locally installed applications. Linspire CE’s flexibility makes it the best-in-breed cloud operating system on the market today. Linspire 8.0 is a continuation of the first commercial Linux desktop distribution that set the bar for open source desktop computing; it continues to set the bar today. You can purchase Linspire 8.0 and Linspire CE 8.0 from our webstore or below. Purchasing the product entitles you to 12 months of updates in addition to 6 months of phone and e-mail support. 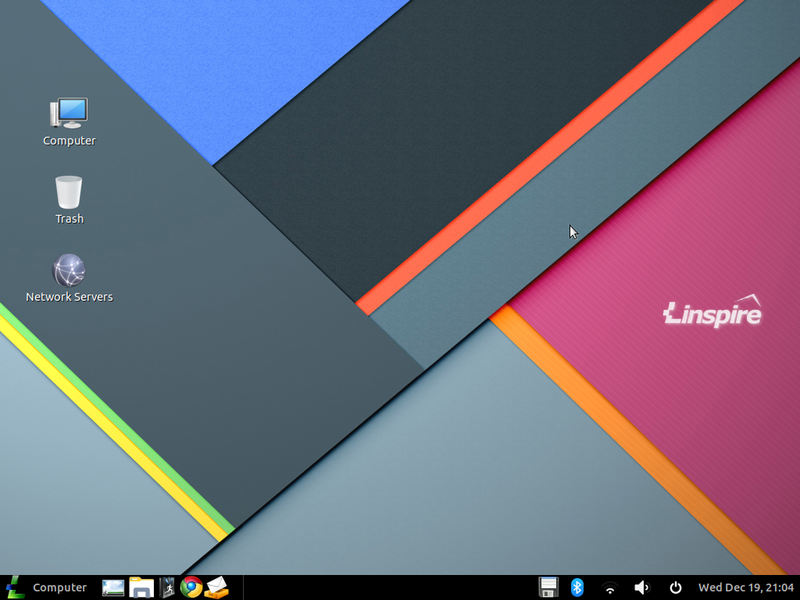 Purchasing Linspire 8.0 gets you both the full desktop and minimal install ISO. 1). Convertible PC docking issues - some users had reported that Linspire 8 tablets detached from the base would work correctly, but when reattached would no longer work. This particular bug has been isolated and fixed. 2). iMac Pro support - has been greatly improved. There were reports of installation issues on that particular model with the latest Linspire. 3). Gdebi - removed; the Linspire software center is fully capable of installing stand-alone packages. As always, power users can still install packages from the command line dpkg -i. 4). Oracle Java now in the repositories - Java 8 and 10 are available due to a bug with Netbeans. If you need Netbeans support you can install Java 8 which is required. Linspire Server 2018 r2 is the ONLY Linux server distribution offering Java as a pre-installed option. 1). Pixelbook support - the RC is not quite ready yet; several lingering issues prevent clean installation. 2). Surface 6 support - not ready in time for the Gold release but possibly with Linspire 8 SP1, later next year. Some users have requested minimal install options. We will be offering Linspire Core and Linspire together; when purchased, the customer will receive either two USB keys / two links to download. Linspire Core will only come with a Web browser and Cockpit preinstalled - no games, productivity apps or multimedia apps. These can be added through the Software center. Linspire 8 RC2 will be released in November and will be more feature-complete. 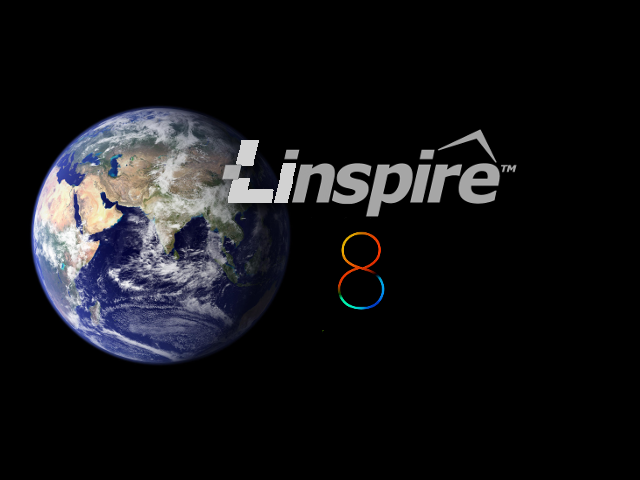 Today we have released Linspire 8 Alpha 1. This release is the beginning stages of our new Linspire release scheduled for a Christmas release. This is a rudimentary build and some things may not work as intended so expect some bugs. This release is NOT set in stone and you can expect numerous changes between now and final release. You can download the Alpha from our download servers.